Can you find the Tyrannosaurs Rex hiding behind the trees? Can you spot the Pterosaurs soaring through the sky? 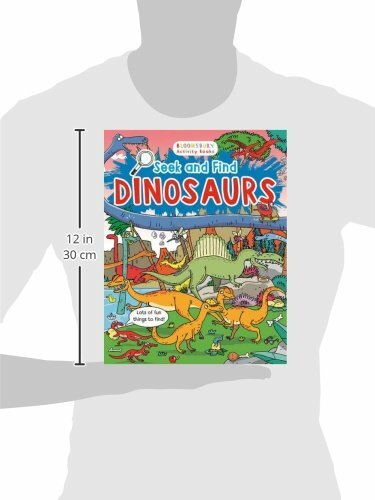 Search, seek and find dinosaurs big and small! Track down the lumbering Diplodocus and find the Velociraptor’s feather in these jam-packed Jurassic scenes! 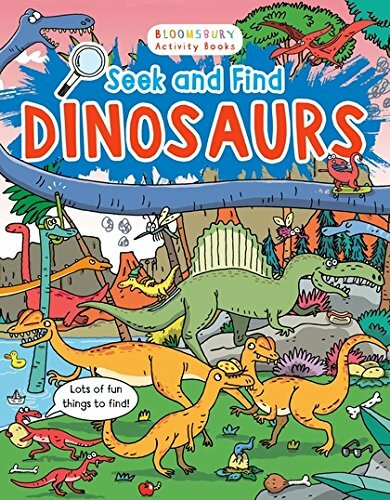 Packed full of bustling and bright artwork, Seek and Find Dinosaurs provides fun and facts for hours of fun!